To begin with, he is not actually delighted to meet you. I’ve always had a soft spot for Mitt Romney, who strikes me, in a way I can’t completely define, as a good guy. The fact that he is an audacious liar does not strike me as a definitive judgment on his character, but primarily a reflection of the circumstances he finds himself in – having to transition from winning a majority of a fairly liberal electorate to winning a majority of a rabidly conservative one, one that cannot be placated without indulging in all sorts of fantasies. Mitt Romney cares a great deal about speaking accurately and truthfully. He uses statistics carefully in his speeches and debates, unlike former leading rival Rick Perry. When first asked as a 1994 US Senate candidate about records showing him voting in the 1992 Democratic primary, Romney said he couldn’t recall for whom he voted. Then Romney told the Globe he voted for Tsongas because he preferred his ideas to his then-opponent for the nomination, Bill Clinton. Later, he added that it was proof he was not a partisan politician. Yet in 2007, while making his first run for president, Romney offered a new explanation: He said he voted for Tsongas as a tactical maneuver, aiming to present the “weakest opponent” possible for Bush. This is flat out false. Obama talked about the rockets hitting Israel in two speeches before the U.N.: One in 2009, and the other in 2011. These are just a couple of examples plucked from the last day of campaigning. There is an endless supply, large and small. Romney’s whole line of attack against Obama rests upon facts that are verifiably false. His main foreign policy indictment is a lie that Obama went around the world apologizing for the United States – this is the basis for his slogan that he “believes in America,” as well as the title of his campaign book, No Apology. His domestic indictment of Obama rests upon his ludicrous claims that Obama “has no jobs plan” and his repeated, specific assertion that Obama wants to create full equality of outcome. 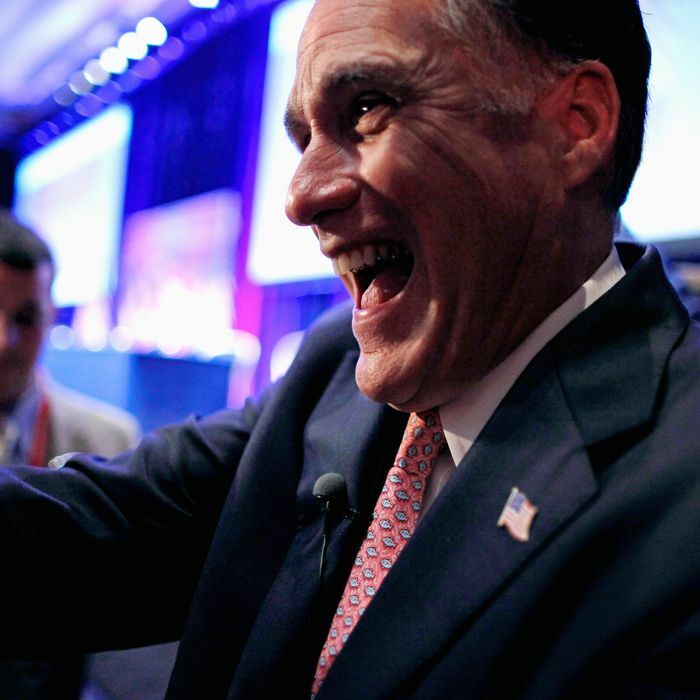 Even by the standards of politicians, Romney seems unusually prone to dishonesty. Again, you can ascribe this to circumstance rather than character. I see him as a patrician pol, like George H.W. Bush, who believes deeply in public service but regards elections as a cynical process of pandering to rubes. I think you can plausibly make other interpretations, and you can separate Romney the man or even Romney the president from Romney the candidate. But I don’t see how you can paint Romney the candidate as in any way scrupulous about the truth in any form.